In addition to curating one of the coolest destination drum shops in MN and beyond, TCDC is promoting education and events showcasing amazing talent. 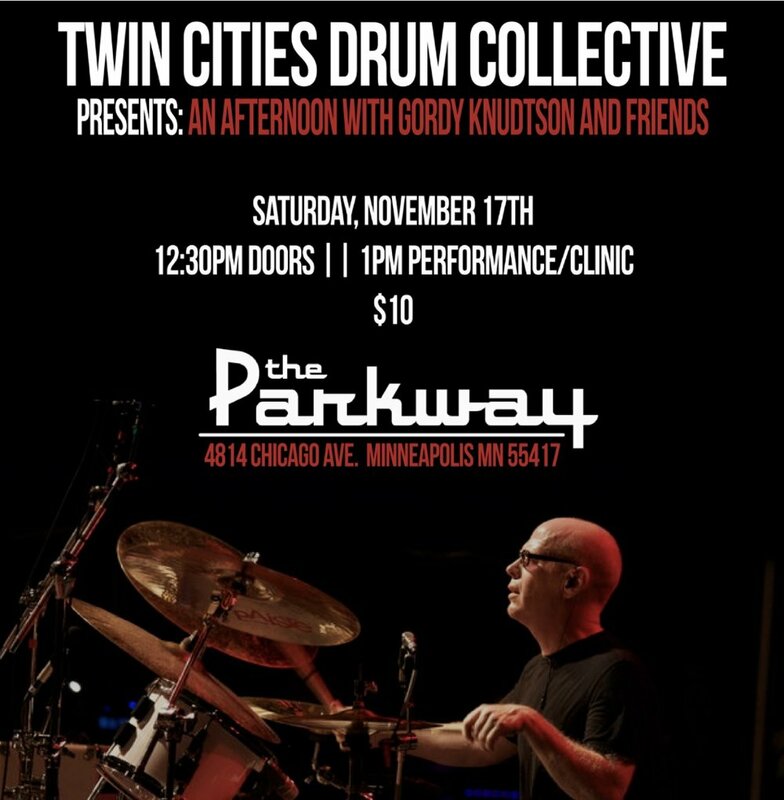 In this spirit, we are proud to announce a collaboration with the historic Parkway Theater in Minneapolis to feature the debut of Gordy Knudtson’s yet-to-be-named trio with Jim Anton and Dean Magraw. These guys are all world-class musicians and will bring it, to say the least! The trio performance will be followed by a drum clinic in which Gordy covers playing techniques and ergonomics to musically understanding and fulfilling your role in a band. This unique event, which is not limited to drummers, showcases Gordy’s jaw-dropping technique, style, and taste in musical, solo, and educational performances complemented by other world-class musicians. In addition to outstanding music and education, this is a Social Event, so network with Twin Cities musicians before, during intermission, and afterward while enjoying craft cocktails (including non-alcoholic) and snacks from the bar. RSVP on Facebook and then Get Your Tickets! Use PROMO Code Friends_of_TCDC for a 20% discount at checkout!